Product categories of Lab Destoner Machine, we are specialized manufacturers from China, Lab Destoner Machine, Laboratory Seed Destoner suppliers/factory, wholesale high-quality products of Lab Seed Destoner R & D and manufacturing, we have the perfect after-sales service and technical support. Look forward to your cooperation! Laboratory destoner uses raw material and stones density difference to separate stones from seeds. It is used after Seed Cleaner & Grader processing and Gravity Separator processing. It is normally used for vegetable seeds, grass seeds, flower seeds and Other small seeds cleaning. Lab destoner is for fining cleaning to remove the stones, lumps. 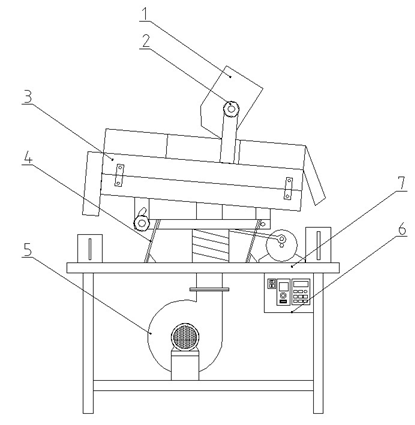 The destoner worktable is a rectangular structure. The top of lab destoner table is mesh grid, the middle is a perforated aluminum plate, and the bottom is wooden air guiding structure. 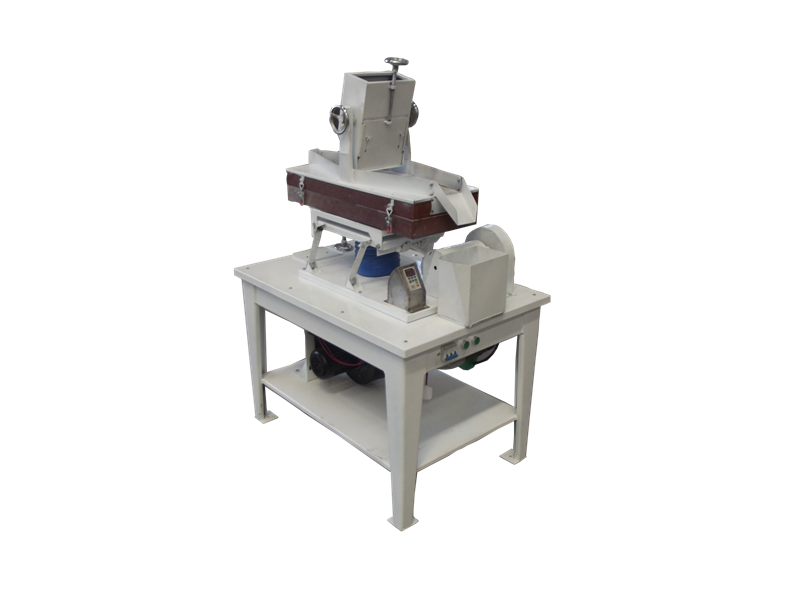 The hopper is located in middle of this worktable; by adjusting the vibration frequency of the worktable and the bottom blowing air volume to achieve the separation of seeds and heavier impurities. The raw material is rapidly delaminated at the seed feeding location; heavier impurity move along the slanted sides of the rectangle to the upper end, and the lighter seed move to the lower end along the rhomboid. Table vertical length, table vibration frequency, the bottom fan air volume are adjustable to meet the small size seeds, different density seeds, sorting requirements. Lab de stoner brings further study basis data of the small seeds characteristics.